Welcome to the first installment of GAS Superbike. It is a pleasure to bring superbike content to GAS, the KZN wheels mag with the most street cred and incredible reader-rides. Please write to me (superbike@gas.co.za), it would be great to hear from you and see your bikes. The best letter will win an uber-cool petrolhead t-shirt from Double Apex. Seeing that this is a special occasion here is a review of the most powerful production motorcycle ever built and arguably the most newsworthy motorcycle of all time… Enjoy. H2 Ride: The Last Samurai? You can almost certainly remember a moment, probably around a braai after a few beers, when some crazy enthusiast cooked up a radical and ridiculous idea to mod their ride. When you see you a responsible corporate actually build one of those concepts and make it available through your local dealership, it beggars belief. 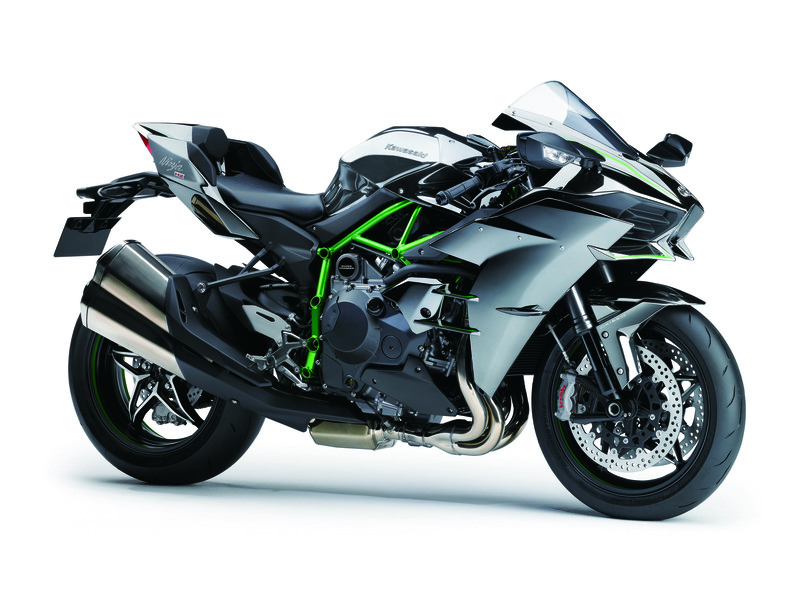 Kawasaki, the same company that produced the fearsome, multiple championship winning 1000cc ZX10R, in a moment probably infused with too much sake, decided to build a supercharged 1000 cc road-going hyperbike, the Kawasaki H2. In a time when normally aspirated one-litre bikes are already so powerful that they are rendered practically useless in the real world, perhaps the only thing more outrageous than the idea of the H2 is the sight of one. Aerofoil mirror stalks and a flow through seat cowl suggest that creating downforce and aerodynamic stability were necessities rather than styling gimmicks. The bright green trellis frame and semi-naked Vader-style silver and black bodywork on the local demo bike completed the threat that this was not to be an ordinary ride. Rolling though the city streets and commuter infested traffic circles was surprisingly pleasant. The H2 is refined, well mannered, offers a comfortable riding position and smooth, one-finger brakes. Mounting the onramp to the open highway in second and rolling the throttle between thumb and fourth finger unleashed every single one of the 200 horsepower served up by the H2. The electronics made sure the rear tyre stayed planted and the front wheel hovered safely a few inches above the tar. As redline approached, knowing that the H2 is factory fitted with a quickshifter, I hooked the gear lever, without clutch or throttle lift and discovered 10 milliseconds of Nirvana. The ECU pulls the timing, interrupts the fuel supply and opens the wastegate. Pop. Whistle. BANG! Third. BANG! Fourth runs through almost as quickly as third and ends with another glorious 10-millisecond glimpse into paradise. The relentless forced induction drive did not fade up to the 295 km/h mark, at which point I ran out of road. 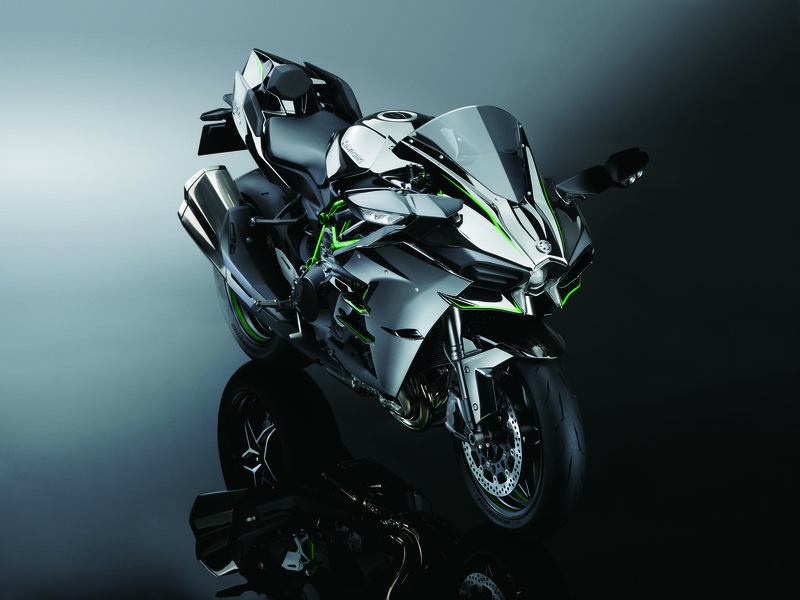 The bike, according to Kawasaki, is electronically limited to 299 km/h. A quick ECU re-flash is likely to uncork this genie to 300 plus. The engine certainly feels good for a few more knots. Not that anyone who ever buys one of these will care but I just thought I’d mention that the Brembo stoppers are superbly powerful and the chassis is surprisingly nimble while always feeling reassuringly stable. It really is a pleasure to ride. Would I ride one regularly? No. This bike has no practical use. It is a pointless device and much like any hyper-car it is ridiculous. At more than R300 000 would I buy one? Yes, absolutely! There will probably never be another bike like this. It may mark the pinnacle and, thus sadly, the end of the inter-company superbike horsepower war. The next frontiers will be hybrid power, aerodynamics, weight-reduction and electronics. This is the last samurai, the last brave dinosaur. It is the ultimate collector’s piece. Oh, and then there’s that 10 milliseconds of heaven. Motorcycles have been a large part of my life since I was 12 years old and pinched my elder brother’s bike for my very first ride. Through high school we built, broke, crashed, repaired, bought and rode anything we could lay our hands on. In the early nineties, while completing a mechanical engineering degree I started racing superbikes. My first race bike was a 1 000 cc Yamaha FZR which was followed by a Kawasaki ZX-6R, Honda CBR600R and a Ducati 748 SP. A few seasons of 125 cc Rotax karts fed the track addiction for the years I didn’t race bikes. A Honda S2000 followed by my current 4 wheeler, a slightly modded Toyota 86, have been my track day and autocross rides. 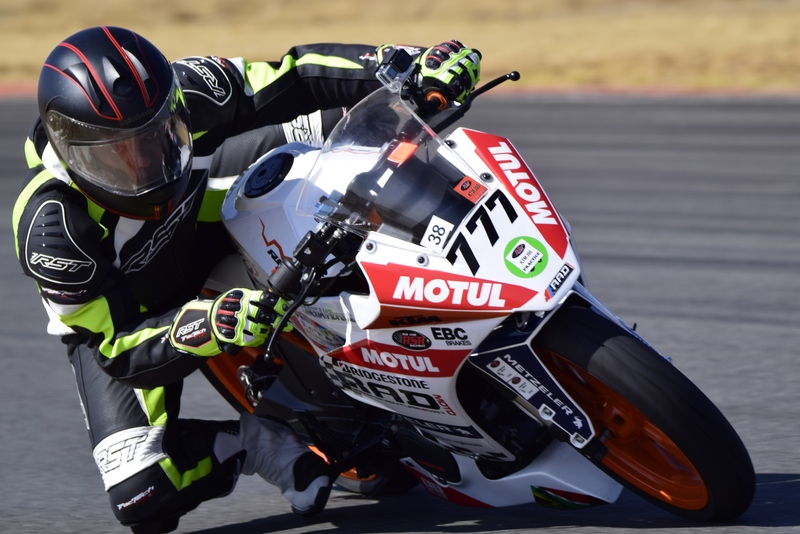 For the remainder of 2015 I will be racing a KTM RC390 and may occasionally compete on a ZX10R.